The future is now in-home care as technology is transforming the functions of agencies worldwide. Modern software means that virtually all inefficiencies can be stamped out and most key challenges met head on. The ultimate outcome is that well-run home care agencies can organize and deliver high-quality client care. At AlayaCare, we’ve watched as technology has improved agency operations in diverse, complementary ways. Smart, mobile technology can prevent employee churn by relieving caregivers of burdensome tasks that can lead to burnout and eventual departure. Flexible, intuitive software enables agencies to shift in any new direction desired, embrace emerging styles of care and deploy modern tools such as remote patient monitoring. Strong tech has proved vital for agencies to deliver coordinated care, scale operations, recruit and retain top caregivers, streamline processes, go paperless, stay compliant, achieve reliable Electronic Visit Verification, optimize scheduling, and so much more. Innovation is also at the heart of one area of business that can quickly become a throbbing headache: home care billing. Anything regarding the flow of money in or out of an agency is of vital concern -- and efficiencies here can lead to major cost savings and improved operations. Any member of an agency’s back-office finance team knows the issues at play when processing claims with third party payers -- Medicaid, insurance providers, others. Submitting claims can become a time sinkhole for staff who must ensure all fields are filled correctly, spot and resolve any issues, process claims, and monitor progress as necessary. Even worse, some aspects of billing can in fact result in lost revenue; receiving a rejected claim due to data entry errors causing lags in reimbursement and additional administrative burden; missing out on reimbursements because agencies are unable to submit claims for half or quarter units, despite paying staff for that time. Depending on where your agency is located, regulators may permit agencies to bank units when submitting a claim. To avoid getting mired in numbers, some agencies elect to manually bank units by rounding to the nearest whole number, which can add hours of tedious work for your finance team for every billing cycle. Auto-check eligibility of a client to ensure claims are not rejected after care has been delivered. Trims time and resources that staff would otherwise devote to manual administrative billing work. Easy to identify any issues with a claim via software that automatically searches for potential errors before submission. Easy to resolve any issues online before processing claims, ensuring reimbursement is as quick as possible, and reducing the number of rejected claims. Instantly upload claims to clearinghouses with one click. Say goodbye to unnecessary postage and mailing expenses. Unlike paper, an electronic audit trail enables agency staff to monitor a claim as it progresses through the system between intermediaries and a payer. Electronic reports can confirm that a payer has received an agency’s claim. Adjudication, reconciliation and a “closed loop” billing data file that is returned from your clearinghouse partner directly into claim/visit data is another key area for efficiency. Overall, e-billing means that claims are processed faster, with a shorter turnaround time from payer back to agency. It is another illustration of technology improving the back-end management of home care agencies. Just last month, AlayaCare introduced an electronic billing module that contains a foolproof, automated banking option for agencies submitting claims to a payer. This process could save agencies thousands of dollars a year by ensuring reimbursements are collected in full by enabling staff to option banked time for each bill code or client and assemble all fractional hours into whole units with the click of a button. This latest move is in line with the underlying mission of AlayaCare: to help agencies stay focused on their clients and improve outcomes by building smooth and efficient processes. 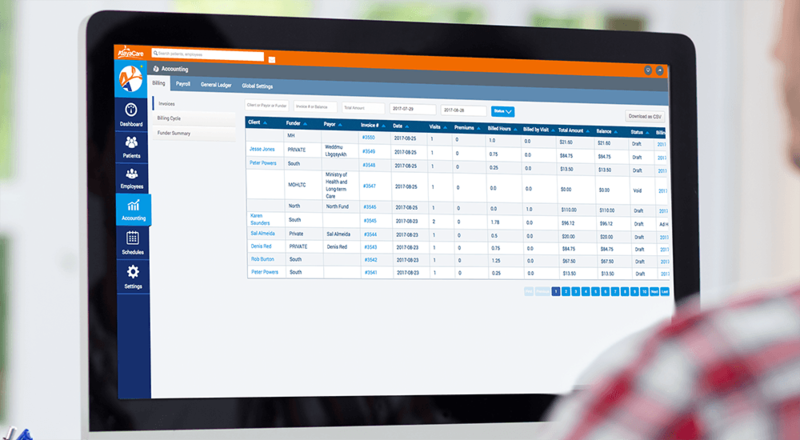 The new billing feature lets users submit and track claims in real time and, by reducing errors with built-in quality control, it accelerates client and payer payments. 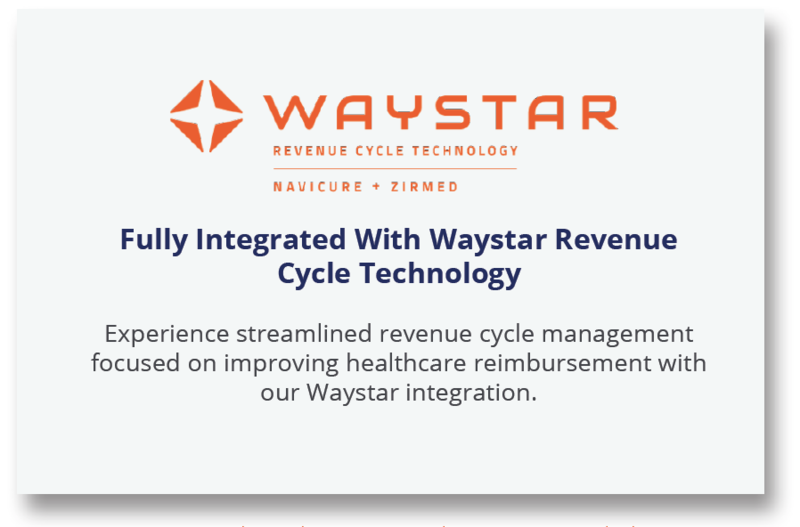 For the all-important Medicaid reimbursements (among other payers), AlayaCare has integrated revenue cycle technology from Waystar. This collaboration -- the only software to date that has integrated with Waystar on a visit-by-visit basis -- has supported our efforts to build automated tasks that are customizable for any client, maintain a real-time experience as with our other features, enable seamless transactions and maximize reimbursement. After all, why forfeit funds that are hard-earned? 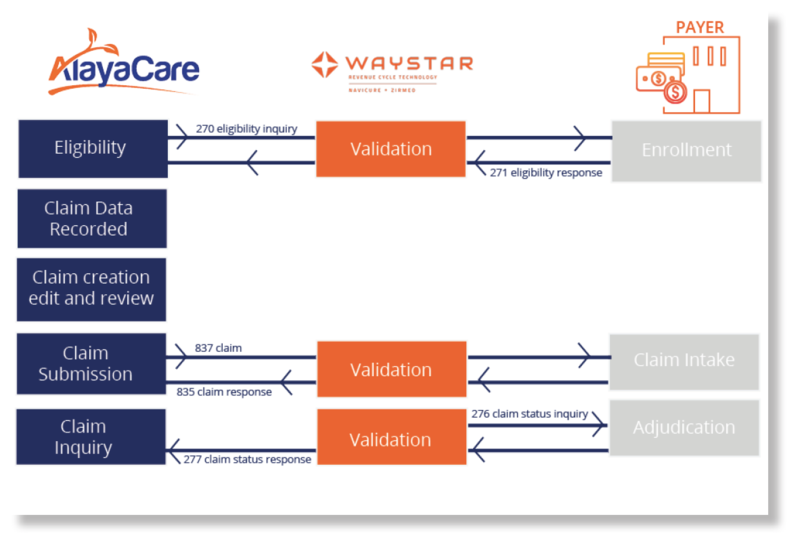 With Waystar integrated, AlayaCare can transmit and receive many different claim formats including ANSI X12 files, APIs, flat files, FTP and encryption. Our system supports the delivery of both 837I and 837P bill files, as well as accepting inbound 835 files that inform an agency if each claim is paid or denied. One notable aspect of this technology is an ability to perform Medicaid eligibility checks. The 270 file sent to Waystar and the returned 271 file can rapidly check if someone is eligible for Medicaid. Agencies can determine how frequently to issue these checks, because the eligibility of any one client can change unbeknownst to the billing team -- minimizing the risk of denied claims. AlayaCare’s system further diminishes that risk by only permitting claims for client visits that are approved to be submitted for reimbursement. As you can see, the right technology not only reduces headaches in billing, but performs tasks and updates in real time, and can predict and overcome potential issues in the claims cycle. The value is simply substantial. Don’t hesitate to contact us to learn more about the role of technology in billing and banking units, or about the ins and outs of AlayaCare’s new electronic billing software. With an end-to-end solution spanning clinical documentation, back office functionality, client and family portals, remote patient monitoring, and mobile care worker functionality, AlayaCare offers a platform for agencies to propel towards innovation and home care of the future. With end-to-end solution planning, clinical documentation, back office functionality, client and family portals, remote patient monitoring, and mobile care worker functionality, AlayaCare offers a platform for agencies to propel towards innovation and home health care of the future.